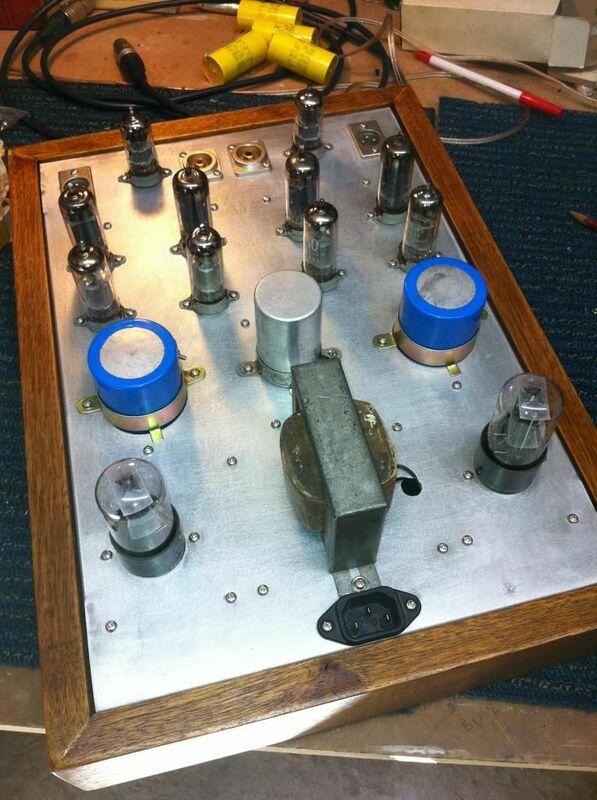 Finally I have started to build a Valve audio pre amp stage for our Reel to Reel machines. The preamp has been design with more than most people would need. I designed the preamps with balanced output stages to be connected before the phase splitter in the tape units audio path. We start off with in each channel 1 X e88cc cathode coupled phase splitter followed by 2X 12BH7 cathode followers voltage amplifiers then into 2 X E83F ground grid output stages finely we have a R Core transformer with two HT windings and each channel has its own 6X5GT rectifier and filter stage . I was going to post pictures but thanks to Graham has save me the stress of working out how to put them in. I will Keep you all informed as to the progress goes with the project as it works on paper now I have to make it work for reel . What? This one. Hope this is OK Paul? Plenty of valves there...just as I like! Paul can you make this into a phono pre as we'll??? RTR is the real deal! It's a bit of a bummer that you have to go from 'phase splitter' since it's basically the back end of the replay electronics all but the bal OP stage. There's also a lot of fet switching in there prior to the OP stage - the Japs seem to love this. tubes and getting very low noise would not be for the faint hearted. It's completely doable, certainly big job but the cost would be pretty substantial. FWIW De Paravichini builds complete custom tube replay and record electronics, front to back for Tape machines - pretty impressive! I don't like phase spliters either BUT for those who would like balanced outputs we need to have the spliter to be able to get a Pos and Neg Phases. The circuit is easerly changed to be just a standard input. Remember this is only an experimental unit. I don't my self need balance but I needed to prove to my self the it can be done. micro volt tape head signals but with lateral thinking and what is available these days it can be done really well. I don't know that tape machines actually need too much 'warming up' as per CD playback. A lot of what I've heard in fact points to the contrary. just needs to be nursed from the heads without damage - so to speak. Bryan, tells me this tape valve output looks the goods. reading about it now. That does look sweet ! That's the sort of design I'd be looking at Graham. Fully balanced, pretty simple, open loop. The AT7 is obviously at the IP and ECC99 OP driver. That's pretty much how I build my mic pre amps which is a pretty similar thing but without the required tape specific EQ (or bias trap where applic). Also a fair bit of cost looks to be in the enclosure. This fully balanced simple design approach can yield really great results but there is one possible caveat, it is usually on the -clean- side. a mastering lab, probably not a bad thing. I've got a lot of time for his opinions. He's been there and knows his stuff. My first prototype, on a bread board chassis had way to much gain for our tape project. The next prototype had just the right gain as the output from the R2R is taken off the output of the equalization circuits and well before it gets to the nasty IC op amps. Steve has been giving this unit a good work out. Both Steve and I were very happy with the results of this valve stage. This unit is basically both sides of a E88CC are in parallel except that each cathode has its own resistors and output come though a Deuland 2 MFD from the plate circuit to a unbalanced output. My third prototype ,as I did't have the valve stage here I decided to have a go with SRPP ( which I normally don't like) and I got a pleasant suprised as to how good it sounds! This circuit has both halves of the E88CC in SRPP is direct coupled to a 5691 valve in a cathode follower which is unbalanced output but can with a little work be configured for a balanced output . This sounds very exciting Paul. Do you have any aspirations to develop an CCIR EQ circuit, so that we can take the feed direct off the heads? Or is that a road too far? At this stage I will not be building the equalization correction circuit. 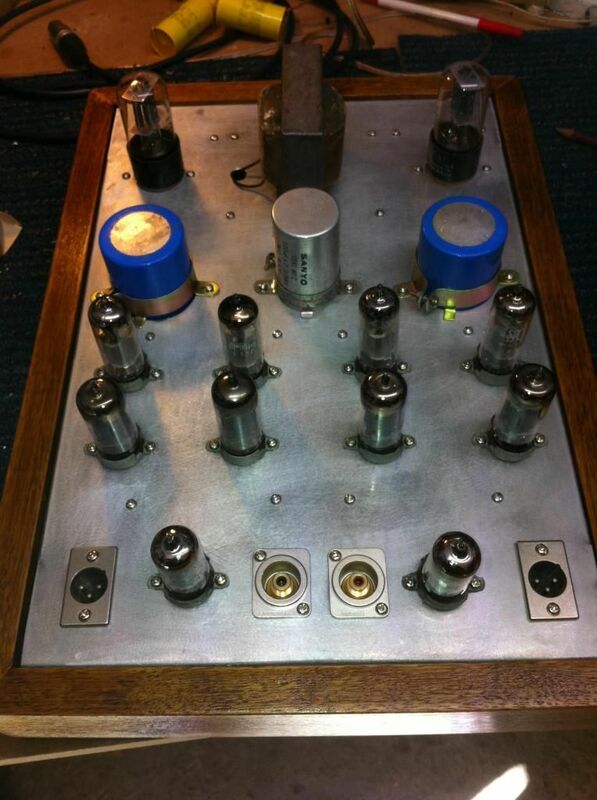 I have a vintage tube preamp project on the go. 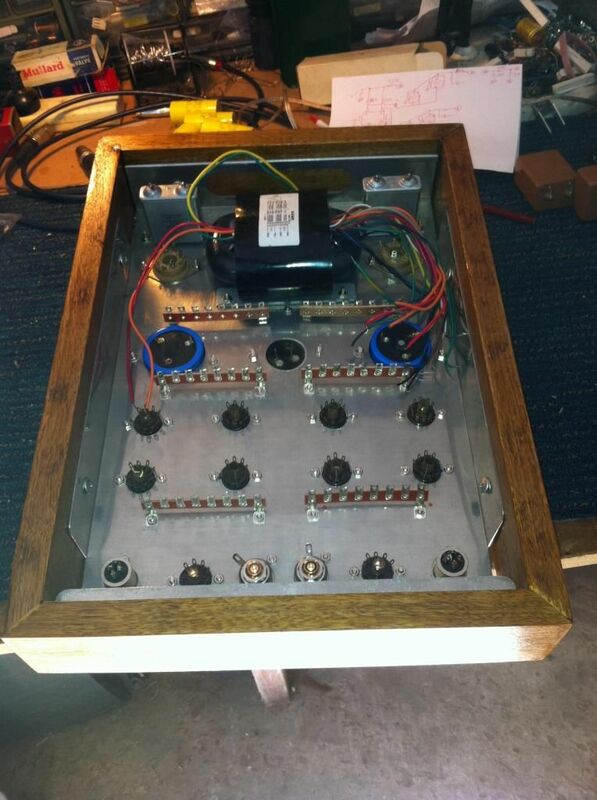 When I finish this and one other project I will return to the to the R2R preamp will look into it in more detail. Just does not seem to be enough hours in a day! Yes start building the eq circuit version. Then we will really hear what thats on the tape. Its going to be as big a jump as we are hearing going from cd to r2r right now. Its just playing around and adding final flavour at the moment. Going straight from the heads will be another universe. We demand it Paul, or there will be trouble.